Three elements will add to the total tally of vote. the number of votes they get in the polls. View the finalists’ profiles, watch their videos here and vote in the polls below to increase their chance of representing their province and taking part in a workshop with UK poet Lemn Sissay. We are just over seven weeks away from the first slam For Your Life National Poetry Slam at the National Arts Festival. After approaching our partners in the Eastern Cape, Western Cape and KwaZulu Natal and after hosting a Secret Slam in Gauteng, we are now proud to announce that we have the 12 finalists vying for a chance to represent their province at the finals. Voting opens this week so get ready to stand behind your favourite poet in each province. Last night, The Right To Win democracy TV game show came to an end with a battle between Nonhle Thema and Word N sound Founder, Afurakan Mohare. It’s the roast of @nomisupasta @ZamaDube @NonhleThema tonight on @TRTW_2 @PaulofPower is the Roast Master. 6pm @SABC_2 AYEYE! Ja hey, I saw flames in that round. @trtw_2 now just @NonhleThema and I. It’s war! Will let the people decide 😆”@Afurakan: Lucky? Mxm! It’s on! “@NonhleThema: @Afurakan @TRTW_2 you know you got lucky..very lucky. ..
“@Qhakaza: See dad, poets aren’t all ‘foul mouthed dirty rastas’!! Cc @Afurakan @TRTW_2 @PaulofPower #PoetryWins”Hats off! Kudos @Afurakan who’ll be donating half of his winnings to @Miyela – an organisation which runs SA’s only Spelling Bee Competition. Salute. “Miyela Foundation is very close to my heart as their work contributes directly to my work of growing a nation of writers. Spelling promotes appreciation for language and the proper use of language. It is also an important part of learning how to read and write. As the hosts of the only Spelling Bee in South Africa, I believe that my little contribution will assist them with this year’s event,” says Afurakan. Poetry just keeps winning and we salute you on your winnings! The Rise of the Underdogs stage was introduced to young up and coming bands who are bubbling under and doing amazing things. This Saturday, Word N Sound features one such band. 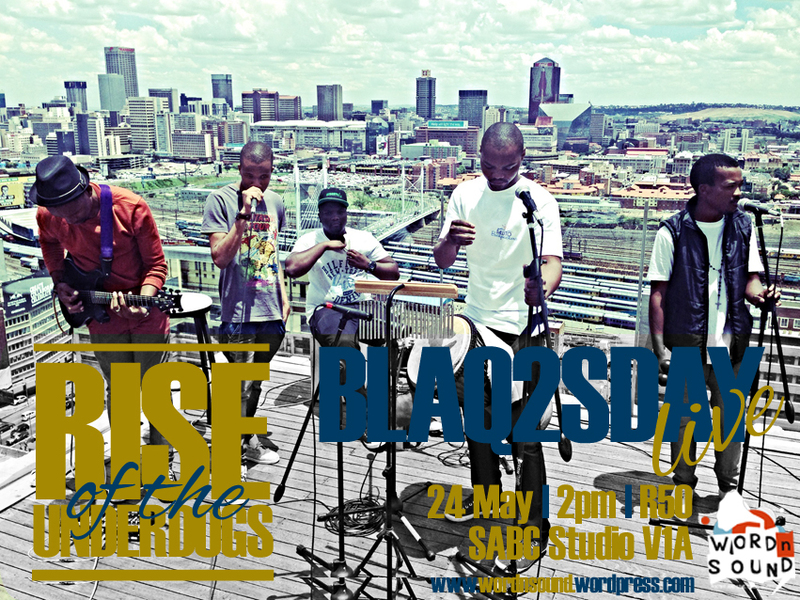 Production Manager, Xongani Maluleka, caught up with BlaqSeed ahead of their performance. How was Blaqseed formed and what changes has the band gone through? Blaqseed was formed, the year 2010, after Gabriel, the guitarist, had just bought a new guitar which he couldn’t stop playing. At this time him and Karabo, the emcee, were already friends and had both discovered their love for music. They linked up to make a song, however they felt it needed a vocalist. That’s when they went on a search for vocalists. At first they had a lady, who had to quit the band in 2011 because she formed part of another band. In 2012 they had another lady, who also had to leave for career related purposes. Eventually they met a songstress by the name of Lesego, since then they have been graced with her presence. We’ve seen a lot of bands break up. What are you doing to stay together? Our method to stay together as a band is to instill lot of commitment, dedication and hard work coupled with plenty of hangouts lol, amongst ourselves. The Vaal is continuously invading inner city Joburg stages. Is there some form of a movement with bands from there? There’s a movement called Uvuko which caters for a variety of performance art and that’s where most artists from Vaal came from. That’s where we learnt some of the stuff we know. So from that movement we went our different ways but still remain friends with other groups and acts. Take us through your writing process and what inspires your music? There isn’t a fixed way in which we write our songs, Gabriel could have chords that he wants us to work on or Lesego could have a melody or Karabo could write something he wants us to work on. Thus there isn’t a specific writing process, but rather we bring in our individual ideas, themes, influences to work on. We have an incredible synergy that allows us to be open minded and flexible in working with each other in regards to our songs. Our inspiration comes from love and everything else that comes with living. In your band, you have a vocalist, an emcee and a guitarist, have you ever considered including more members to play other musical instruments, if yes which ones, if no, why not? Yes, bass guitar and cajon drum. Which performance has been the most memorable, why? Our most memorable performance was at the Paco Rababe Band competition which was held at the University of Johannesburg Kingsway Campus. This was a stage that we had always wanted to get on. We loved the outdoor set up and the crowed was very interactive. Which local artist would you like to collaborate with and why? We would like to work with are Tumi from the Volume, Proverb and Thandiswa Mazwai, we love the kind of music they do. As an upcoming band, what would you say is the one thing you wish you were taught before getting into the game? We wish we were taught how to brand ourselves and how to get our music to the right people, also it would have been great to know how to get sponsors. Where do you see Blaqseed in the next 5 years? We’d like to see our selves go beyond boarders into Africa and overseas. Spreading the message of Love to every ear we can find. Our aspiration is to become internationally recognized artists who represent Africa on broader stages, the same way Marriam Makeba, Bra Hugh, Tumi, The Soil and Thandiswa Mazwai have represented Africa on international stages. Blaqseed believes in giving back to the community, please explain to us why is that important to you and also please share with us your charitable work? Because naturally as human beings we are helpful and are good, but throughout the years the good in us fades so those who can help, must help. That’s why we do it through our music. We’ve been part of a fund-raising initiative for Thembelihle Primary School in KwaZulu-Natal at the Bat Centre. 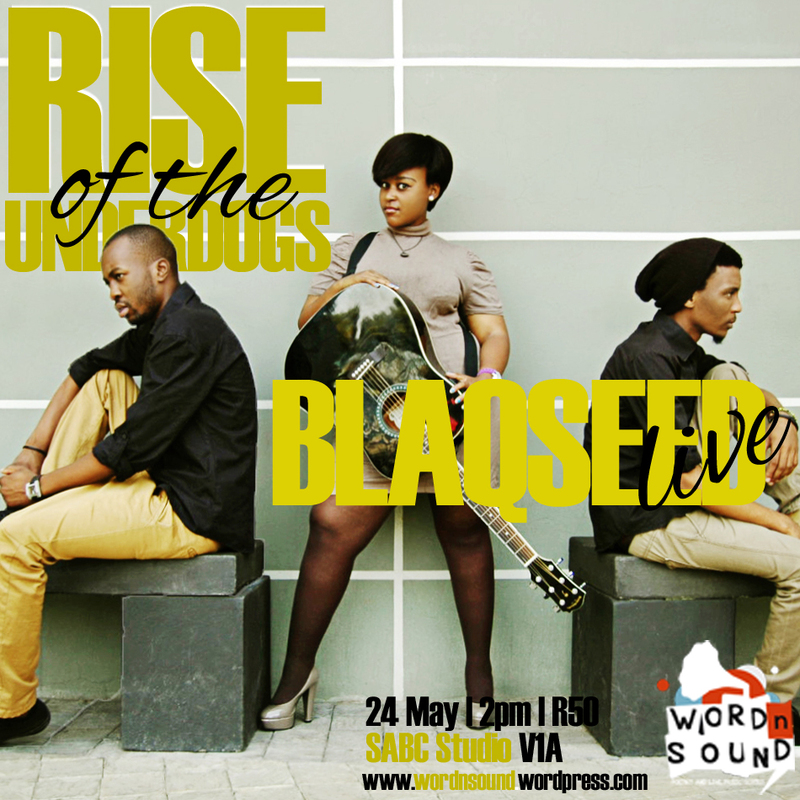 What are you expecting from your performance at the Word N Sound Rise of the Underdogs Show? We hope people hear and understand the message within the songs and hopefully inspire those listening to be better people in society. Catch our free weekly open mic shows every Wednesday night at the Light On 7th in Melville. The mic is open to all so feel free to bring your work and share. 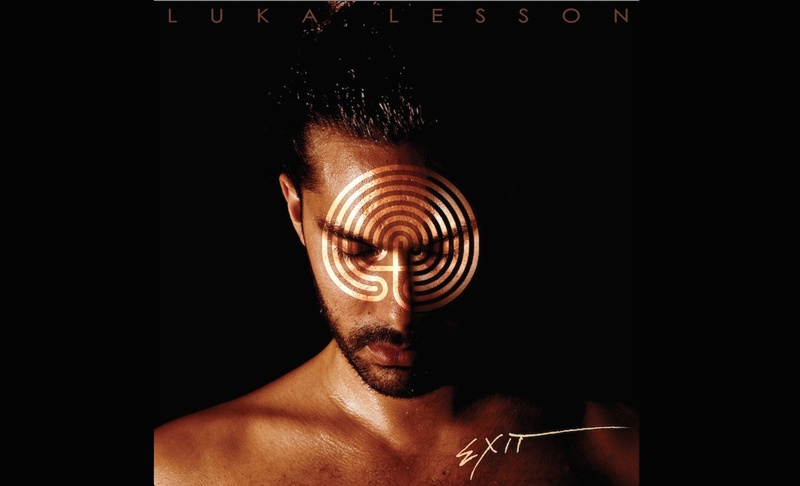 This album ‘EXIT’ is emotional, a journey into the unknown and an ode to vulnerability. In March we hosted Australian poet, Luka Lesson as part of the Tongue Fu show we produced with Chris Redmond from the UK. So we were quite excited to hear that he has release his latest album…and it’s free. 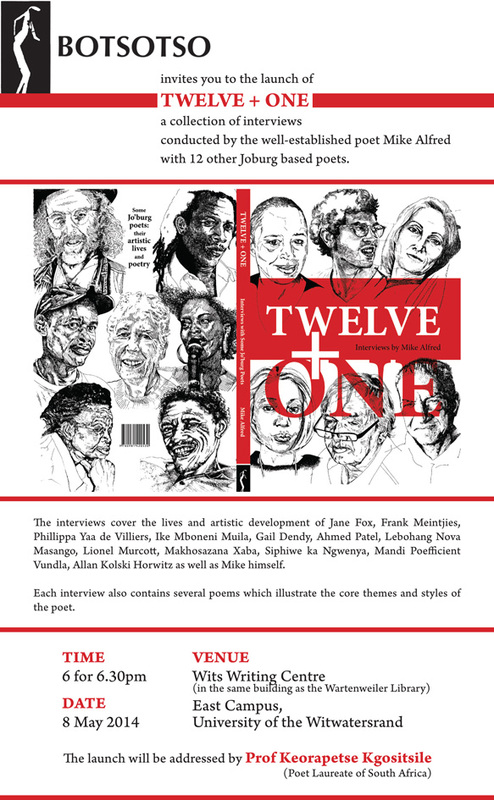 Mpho Khosi caught up with Luka to find out more about the book and how his experience of the South African poetry was. You have decided to give out your Album, and as an artist that is financially straining, what do u wish to accomplish with doing this? I guess I want to make sure everyone who I have met touring over the last few years can access it and have it in their possession. And that nothing, not even money, blocks that from happening. Especially since a lot of the people I have worked with cannot afford to be spending lots of money on music. It is also my focus to reach out and connect with a bigger fan base worldwide and let this album be the catalyst for the next level of my career. Are there any major differences between the latest album and the first one? There’s a huge difference between these albums. The last album ‘Please Resist Me’ was half hip-hop tracks, half spoken word and a very politically focused piece. This album ‘EXIT’ is emotional, a journey into the unknown and an ode to vulnerability. I didn’t let myself over-think the tracks, everything came from a gut reaction… and most pieces were written within a few hours of hearing the music, no more. So it is immediate and unmasked. EXIT got it’s title from me pushing my boundaries with this one, escaping my safety zone physically on tour and as an artist. It isn’t a rap album, or a hip-hop album, or electronic or spoken word. I just went into the studio and approached everything as a poet. I didn’t know what would come out until it was done. Do you ever think that you will evolve and do a different genre? Yes, I am beginning to branch out and just make music I like, I think EXIT has elements of folk, electronic and world music as well as some hip-hop samples and beats. We’ll see where it goes from here. How have you balanced, dealing with the business and admin end of being self-publish and still finding time to write? This is my biggest challenge, being my own manager, touring and finding time to be the artist. Luckily I have people who believe in me and my work and help me to make this dream a reality. Pranishka Nayagar, my tour manager and fellow poet when I was in South Africa, has been a huge help. I owe her a lot and it has been great to see her shine as an artist. During you time in South Africa, you hosted a workshop with students in Westonaria, do you plan on doing more outreach programmes that entail you being a teacher or even a mentor to up and coming writers? I love this side of my work, I have a lot of workshops and school visits coming up in the next six months. And I have poets sending me work to look over pretty constantly. To be honest the young people in South Africa, and in particular Westonaria, really helped me stay inspired and connected to the artform. They were absolutely crazy talented and welcoming. I also gave my camera and new album to the young people at Soweto Kliptown Youth, they made a video clip for my next release from the album, so keep an eye out for that. You have performed on different stages in different places, which would you say is a stage and place that stands out and why? I’ve played in people’s homes to festivals, hip-hop events and poetry slams. It is hard to say but I can’t go past the vibe and crowds at The Nuyorican Poet’s Cafe in NYC. Mahogany Brown who is the host there is the best slam master I’ve seen and on a Friday night, it’s absolutely incredible. Having visited SA, what would you say still needs to be done in the country to better promote poetry? To be honest, more of the same. I think you have a good fan base, a passion for story telling and appreciation of words that runs through the entire nation. South African TV is willing to have poets on and there are people who know how to organise good events. Keep pushing and make sure everything is high quality. A slam is only as good as it’s poets. Also, the only thing I could say is please, do not imitate America. There are a million excellent imitators out there. Poetry is an artform that is about individuality. Be you, as much as possible. Where to from here for you? Now I will do an Australian tour and begin giving my album to 20 Million people worldwide. And start planning the next journey to SA. I hope it is sooner rather than later. Australian Poetry Slam Champion and conscious hip-hop artist Luka Lesson has a dream: to get Exit, his ambitious second album, into the hands of 20 MILLION people worldwide without charge. How? With the help of his fan base. Over the past few months Lesson amassed a street team of over 200 fans worldwide who are poised to distribute his music in their cities on 6 continents. But he also needs your help to share his album with as many people as possible!! 1) Download the Full Album via the below link. 2) Like his Fan Page on Facebook. 3) Share is album with everyone you know. Share, share, share!! 20 million people – we got this! !